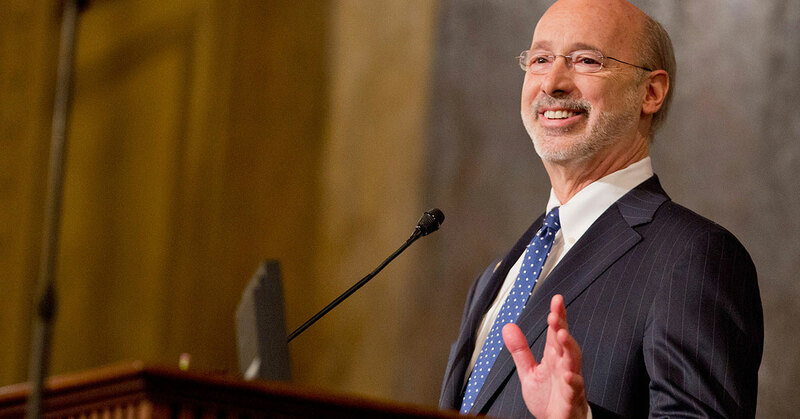 Harrisburg, PA – Governor Tom Wolf announced this month’s new low-interest loan approvals through the Pennsylvania Industrial Development Authority (PIDA) program for four projects throughout the commonwealth. The investments will create and retain more than 80 full-time jobs. Through June 2017, PIDA has approved $27 million in low-interest loans for 33 projects that have resulted in $140 million in private investment and supported 1,316 new and retained full-time jobs. Over the past month, PIDA approved a total of over $2.7 million in low-interest loans to four projects in Adams, Lancaster, Snyder, and Westmoreland counties that will generate nearly $3.5 million in additional private investment. The Adams County Economic Development Corporation was approved for a $400,000, 15-year loan at 4 percent, on behalf of John E. Boyer to assist with the purchase of a 232-acre farm located in Gettysburg, Adams County. The farm will produce crops and operate a cattle and calf operation. EDC Finance Corporation was approved for a $1,300,000, 15-year loan at 3 percent for the first seven years, on behalf of Creek Hill, LLC for the acquisition of a 48,750-square-foot building located on three acres in Leola, Lancaster County. Creek Hill will operate the building as a multi-tenant facility for manufacturing and industrial uses. SEDA-Council of Governments was approved for a $76,500 loan, at 4 percent for twelve years, on behalf of Robert A. Kirkpatrick. Funding will be used to assist with the building renovations and equipment purchases for BJ’s Steak & Rib House, which has been operating in Selinsgrove, Snyder County, for the last 35 years. Through the project, BJ’s Steak and Rib House has committed to retain its current twelve full-time employees. Economic Growth Connection of Westmoreland was approved for a $933,343; 15-year loan at 3 percent for the first seven years, on behalf of Xodus Medical, Inc., a manufacturer and distributer of medical equipment and supplies. Funding will be used for the construction of a 30,000-square-foot warehouse building adjacent to the company’s current production facility in New Kensington, Westmoreland County. This will allow the company to add more production lines to meet increased demand, marking the company’s third expansion utilizing the PIDA program in the past 13 years. PIDA assistance has aided the company in growth from 12 employees in 2004 to the 50 existing positions that will be retained through this project, as well as the creation of 20 new jobs. PIDA is an independent authority staffed and regulated through the Department of Community and Economic Development. The authority provides capital for building acquisition, construction and renovation work, machinery and equipment loans along with working capital lines of credit, primarily for manufacturers, industrial developers, research and development firms, agricultural processors, and employers looking to establish national or regional headquarters in Pennsylvania. At today’s meeting, PIDA approved to offer eligible qualified applicants a fixed interest rate of 2 percent for real estate financing, equipment loans, and 12-month periods for working capital and accounts receivable lines of credit for a limited time. For more information about the Pennsylvania Industrial Development Authority and other DCED initiatives, visit dced.pa.gov.